Highly anticipated: Anthem doesn’t launch until next month, but BioWare has its pre-release demo ready to go, and you can download it starting today. While you can pre-install it now, the earliest you can begin playing is tomorrow Friday, January 25, but only if you are a VIP. According to EA's announcement, players who have pre-ordered the game for any platform (PS4, XB1, PC) and members of EA’s Origin Access program are considered VIPs. They will have access to play the demo from 9 am Pacific tomorrow until 11 pm Pacific Sunday, January 27. Additionally, VIPs have the privilege of inviting up to three of their friends to join them in the game regardless of their friends' status. Anthem's open demo period is scheduled for next Friday, February 1 at 8 pm Pacific. This trial is open to the public and will run until 11 pm Pacific Sunday, February 3. The demo will consist of some missions and a small part of the Anthem world that players are free to explore. To make the most of the limited time, EA is starting everybody at level 10. “We start you off at level 10 in the demo, so you get to play with a more powerful Javelin and use more powerful weapons,” said EA. Players who played the earlier demo will carry over their progress to the open testing. However, that will be as far as it goes. Once the game launches, everyone will be reset to level 1 so they can start from scratch. If you are interested in playing in either demo period, it might be a good idea to go ahead with the pre-install. The game is a pretty hefty download (44GB PC, 26 PS4, 23 XB1). 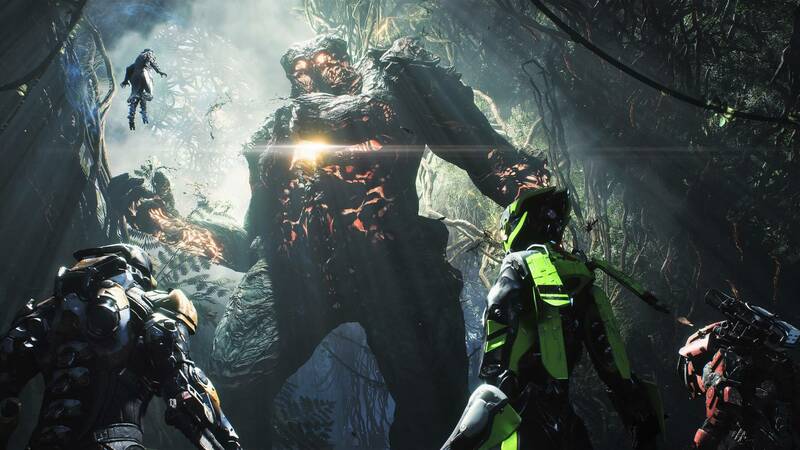 Anthem is an online only game so you will also need an internet connection and a PSN or Xbox Live subscription. If you are a PC user, you might want to check the minimum system requirements on the Anthem help page. Anthem launches for all three platforms on February 22.